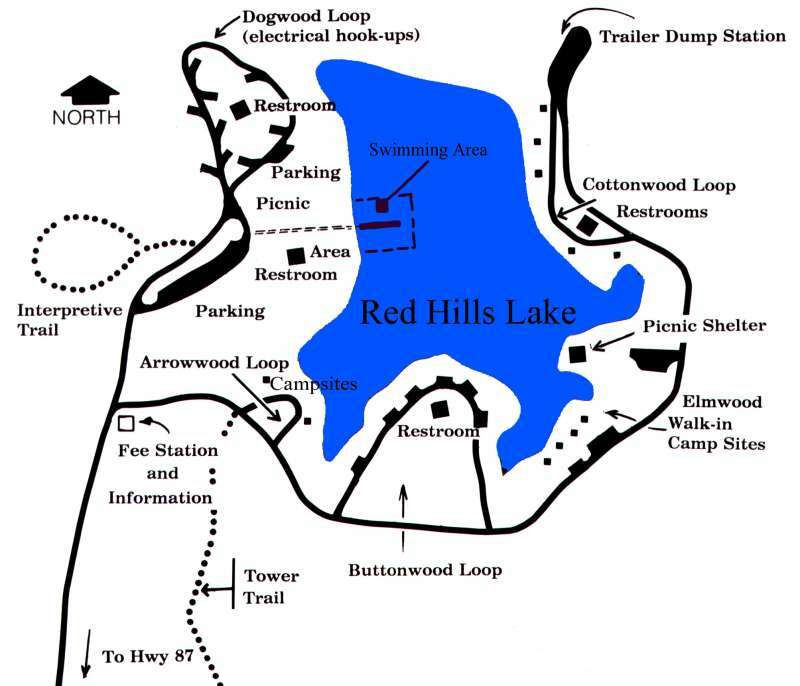 Opened in 1940, Red Hills Lake Recreational Area is a public park which is part of the Yellowpine Ranger District of the Sabine National Forest. It is located off Texas Hwy. 87 north of Milam, Texas, in Sabine County. The park is open seasonally and is very affordable ($3 per car, on the honor system, so please be honorable to help keep the park open). 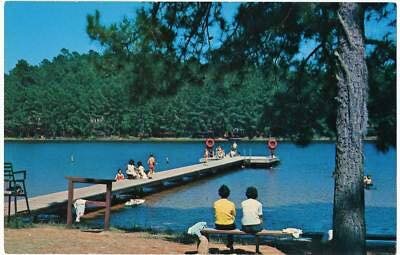 A 19-acre lake is featured, along with an additional 20 acres or so of tent camping and picnicking areas. The park was enormously popular in the 1960s and 70s. It is sort of a hidden gem now, with mostly Sabine County residents taking advantage of it. Volunteers help keep the park up and offer friendly reminders to campers and park goers who bypass (accidentally or intentionally) the honor fee station. At least one alligator has made the lake it’s home, and park rangers are watching it closely. There are warnings at the fee station. The alligator tends to stay away from the swimming area, we were told. We received a request regarding photos and information on ferries which operated on the Sabine River before the bridges were built (most of the bridges that were added on the Sabine River were built in the 1930s). So I rounded up all the photos I had and grabbed up a few old newspaper articles and here they are. If anyone has additional photos, I would love love love to share them! They are really invaluable and I get so excited any time I come across one. 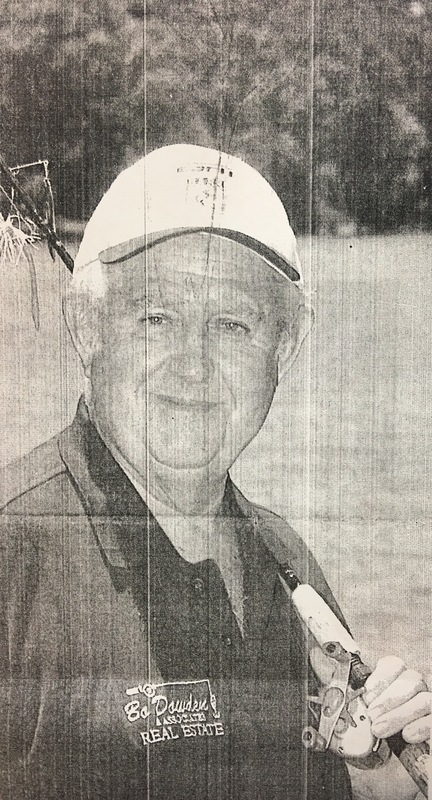 While searching for something totally unrelated at the Sabine Parish Library, I came across rather fascinating articles on a local fisherman who apparently has been quite the celebrity in the fishing world. The first article is from The Shreveport Times, entitled “The Quiet Champion” and dated June 2004; while the second is from Louisiana Conservationist, entitled “The Best of the Bass Anglers” and dated September 1981. 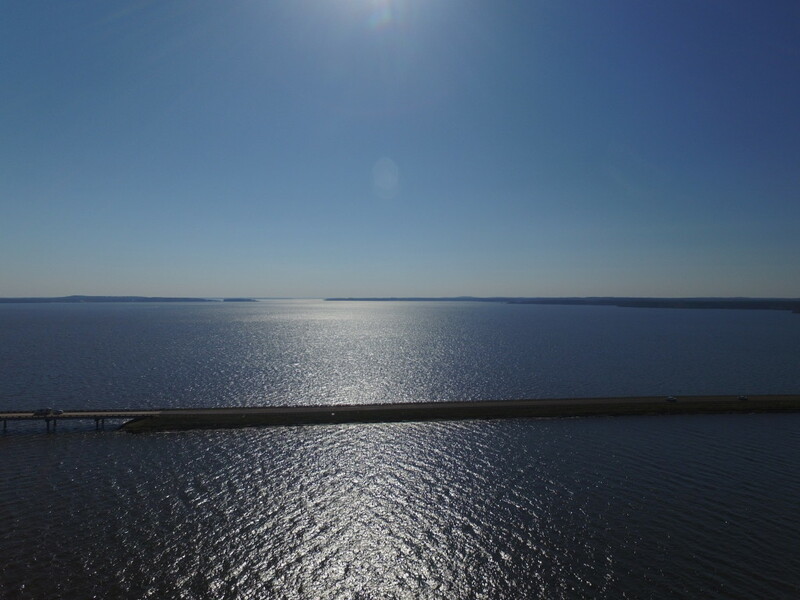 Aerial footage showing boating, fishing, jet skiing on Toledo Bend Reservoir. Footage taken on a beautiful Saturday, Feb. 13. 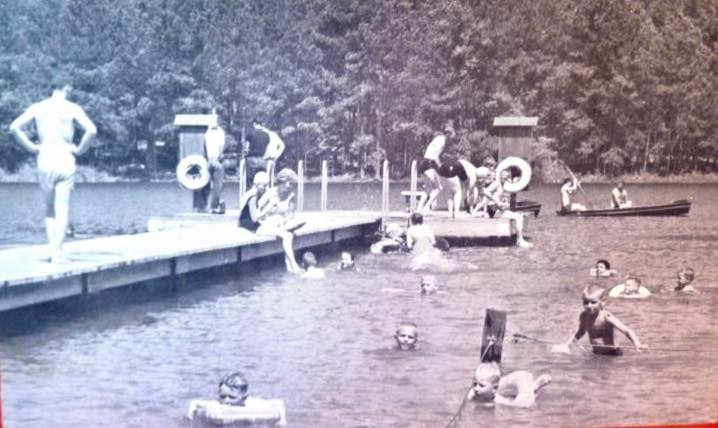 In 1966, there was not yet a Toledo Bend Lake. The bridge which crossed the Sabine River, which was dammed in 1967 to form Toledo Bend Lake, was a metal truss bridge built in 1936 to replace a ferry crossing across the river. It was tee-tiny compared to what its “replacement” two or three mile long bridge would be. Both bridges were named Pendleton… though the older was more often called the Pendleton Gaines Bridge. 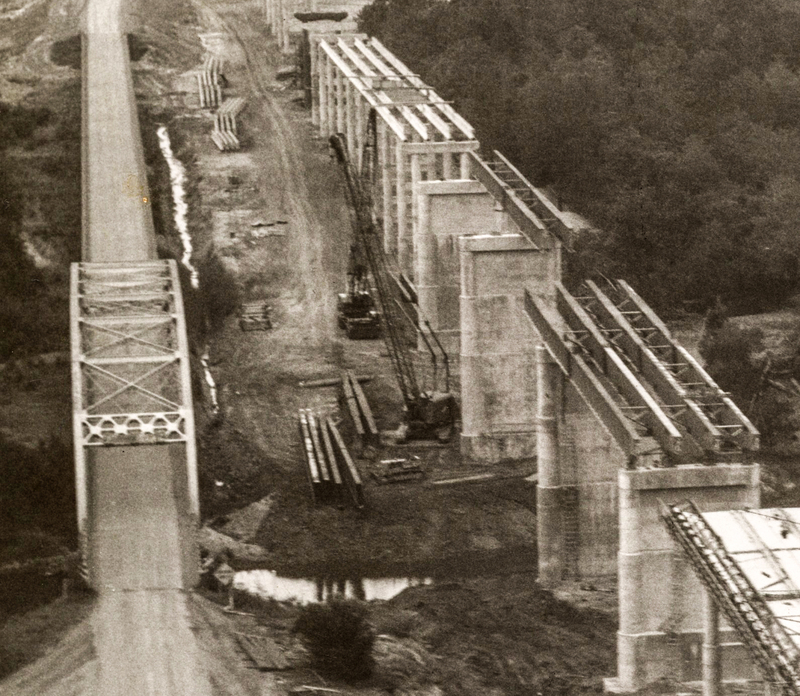 Some old aerial photos taken by the Texas Department of Transportation show the Pendleton Bridge during construction, and the old Pendleton Gaines Bridge before it was no longer to be used to cross the Sabine. I enlarged and clarified some portions of each of these photos. If anyone recognizes any structures or roads or anything in the enlargements, please share any details! 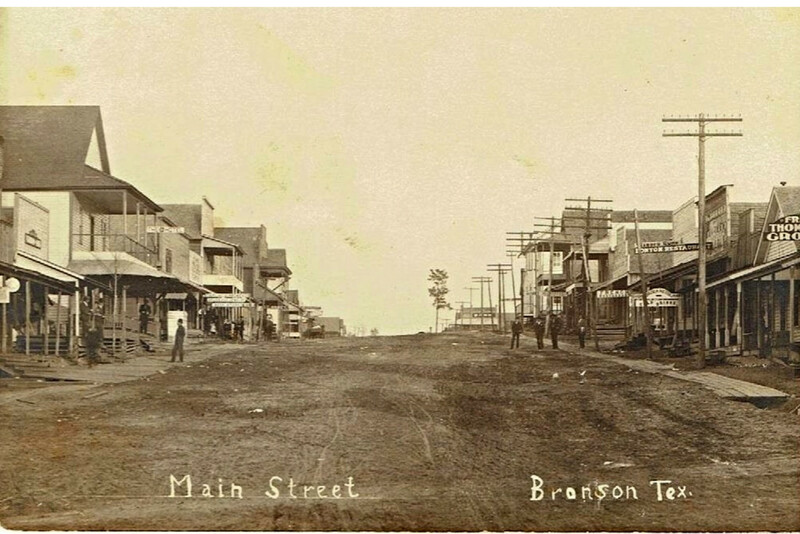 From 1909 comes this postcard of Bronson, Texas. In Sabine County, Texas, nine miles west of Hemphill, there is a town named Bronson. It was once a hopping area, in the glory days of logging. Donna Owens Jones shared two postcards from Bronson in 1909. Back in that time, Bronson was just getting kicked off in its heyday, and had reached a population of 1,000. 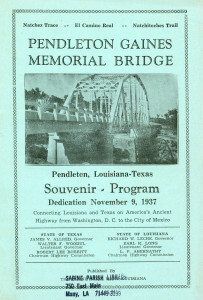 I came across this gem at the Sabine Parish Library… It is a program, published by The Sabine Index of Many, Louisiana, for the 1937 dedication of the Pendleton Bridge over the Sabine River. This truss bridge crossing the Sabine River came thirty years before there was a Toledo Bend Lake. 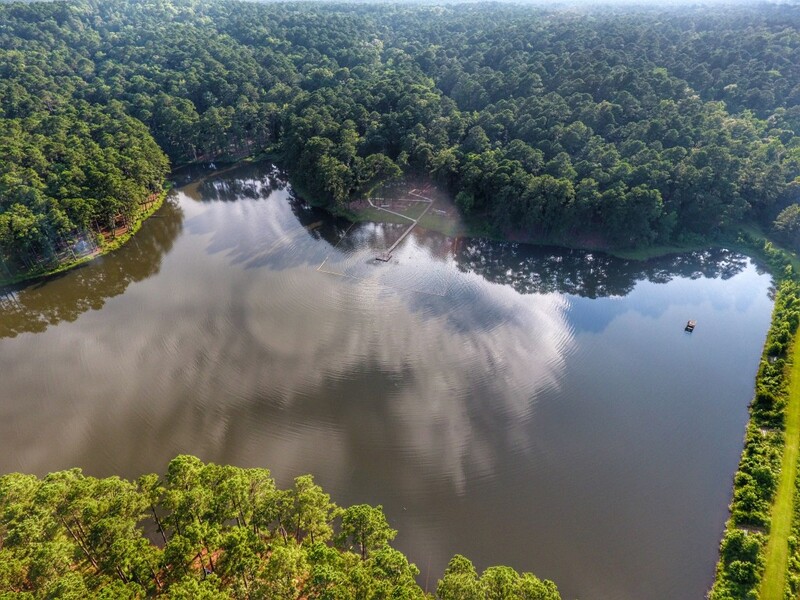 For the time, it was considered a spectacular bridge… and one that essentially carved out a much needed road across the Sabine River at Pendleton between Louisiana and Texas. 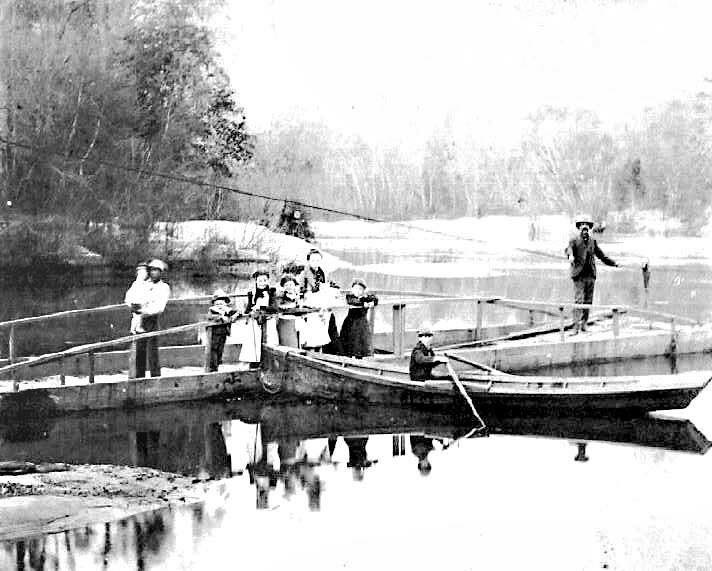 Before the bridge, the Pendleton Gaines Ferry was used for travelers to get across the Sabine between Texas and Louisiana.